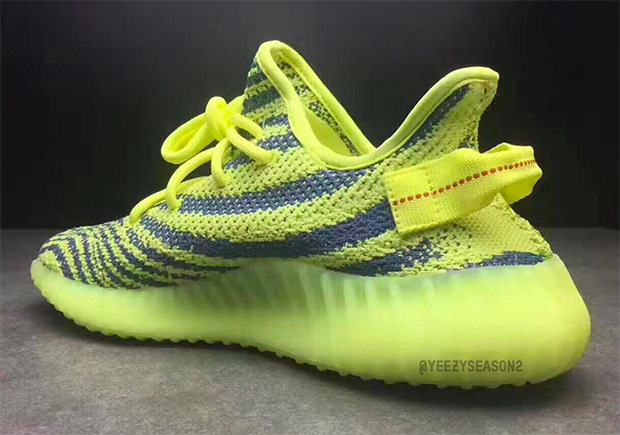 Updated on October 18th, 2017: The adidas Yeezy Boost 350 v2 “Semi Frozen Yellow” releases on November 18th, 2017 for $220. 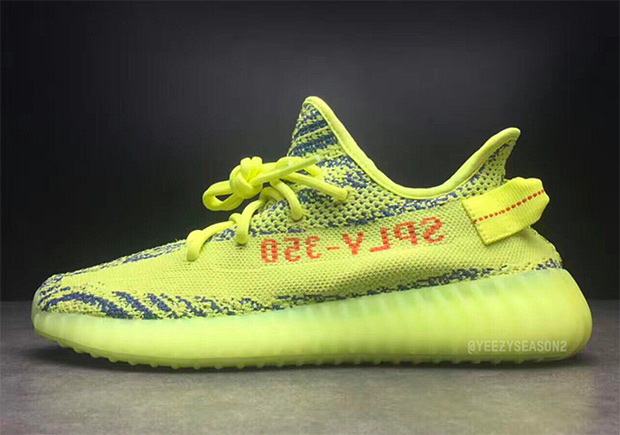 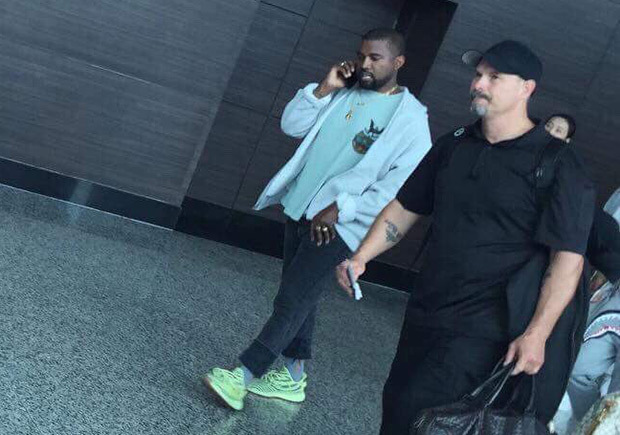 The adidas Yeezy shoe line is finally straying away from the neutral, moody tones this holiday season as the Semi-Frozen Yellow, spotted here on the feet of Kanye West. 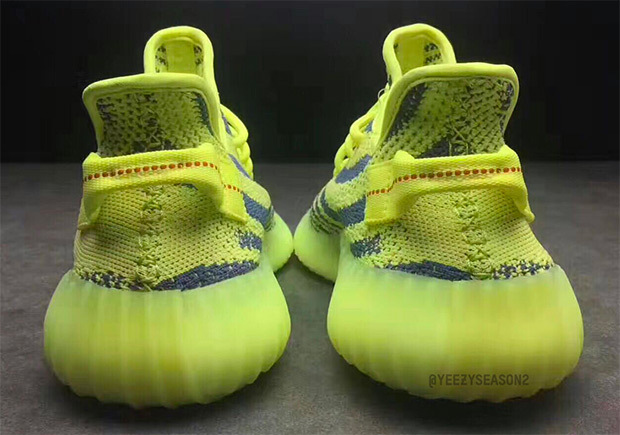 The “Semi Frozen Yellow” revisits the original Primeknit upper design from the first-ever v2 release (the Beluga pair from a year ago), but adds in the bright yellow tone with a pop of red on the SPLY-350 type on the upper. 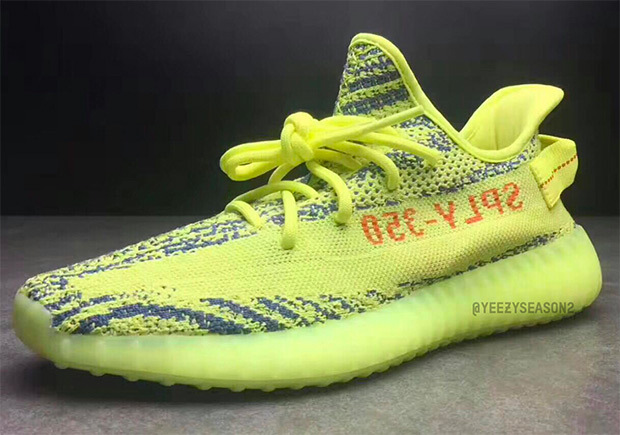 Currently a release is tentatively set for December, but a firm date has yet to be disclosed. 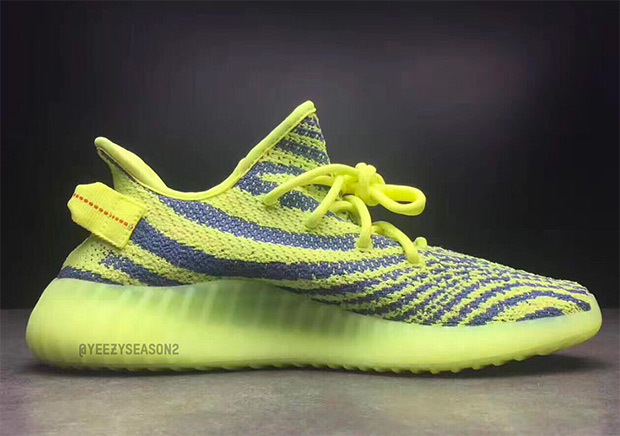 You can get a closer look at the shoes below, and in case you missed it, check out the “Red Night” sample that surfaced not long ago.